Jeremy Brown & Rob Hunt seen here competing in the Classic Heartland of Australia Rally between 2nd & 4th of June 2017 in their Morris Mini Cooper ‘S’. They chose to run on MaxSport 145/70Rx12 RB 1’s. 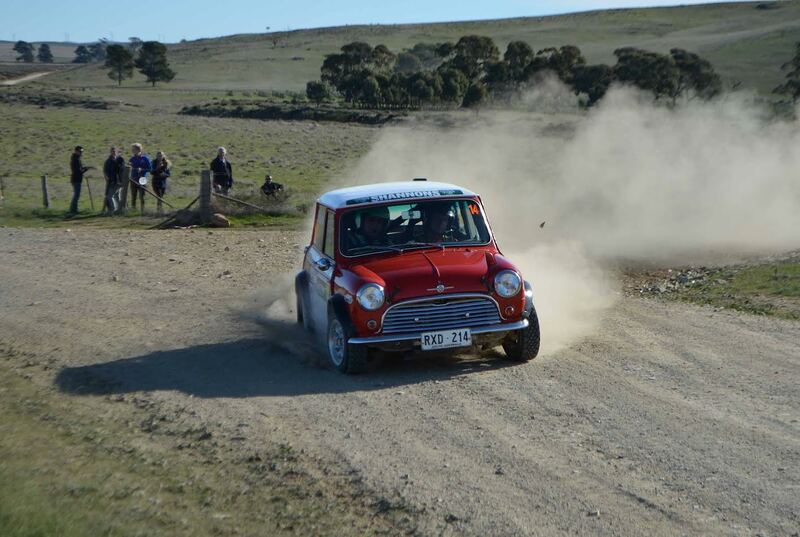 After the rally, Jeremy Contacted Bryn at MaxSport with the following message – Good Morning Bryn, I used the new tyres in the rally last week and tried 35/26 psi as you suggested. Worked much better. Impressed with grip & wear. Regards – Jeremy.